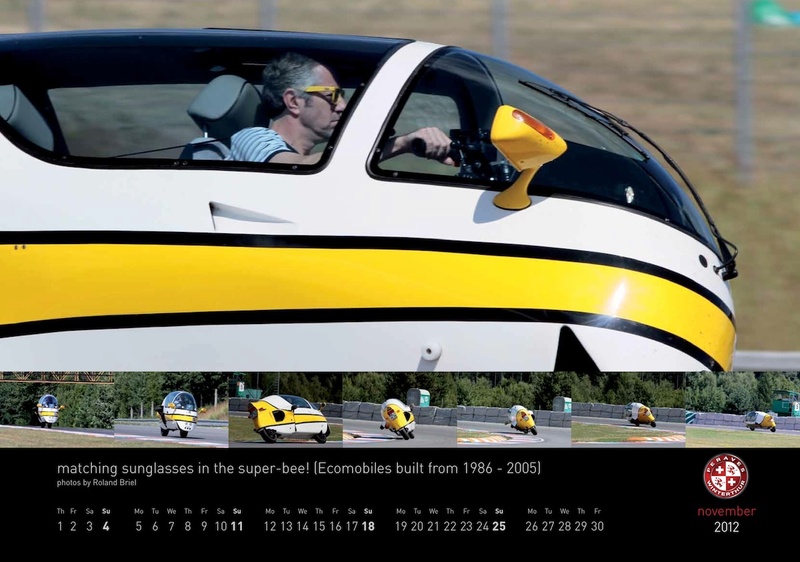 Peraves CEO Roger Riedener has assembled yet another gorgeous MonoTracer calendar for the 2012 model year with some of the best photos from last year’s MonoTracering adventures. Many of the excellent photos were taken by expert photojournalist Markus Jahn. 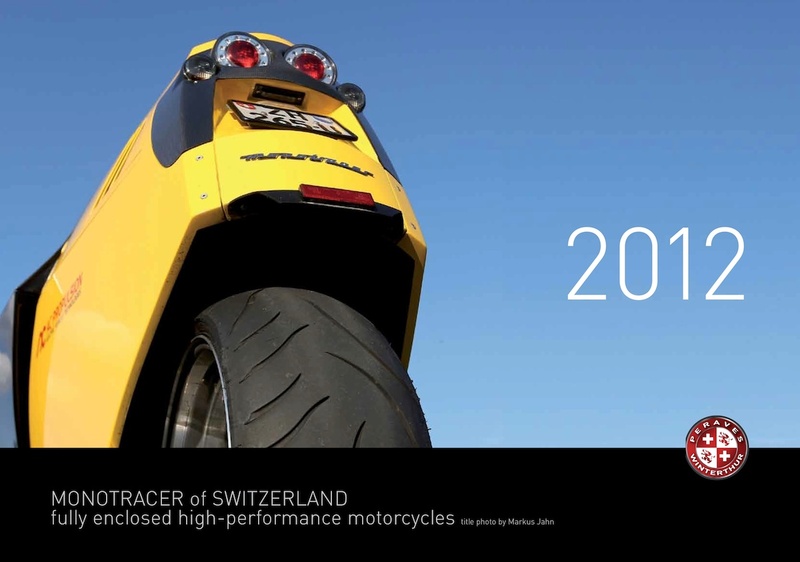 A low resolution (2.7Mb) PDF version of the 2012 MonoTracer of Switzerland Calendar is available by clicking here. I’ve parsed the calendar into JPEGs viewable below. Click the jump if you’re viewing this from the main blog feed to see each JPEG individually. January 2012 MonoTracer of Switzerland Calendar – Roger and Stefano formation MonoTracering in the Bohemian forest. 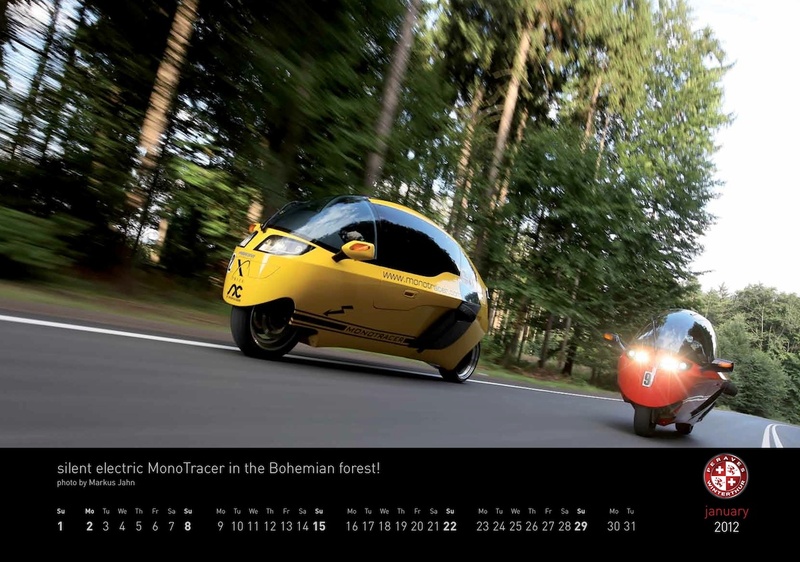 January 2012 MonoTracer of Switzerland Calendar – Roger and Stefano MonoTracering in the Bohemian forest. 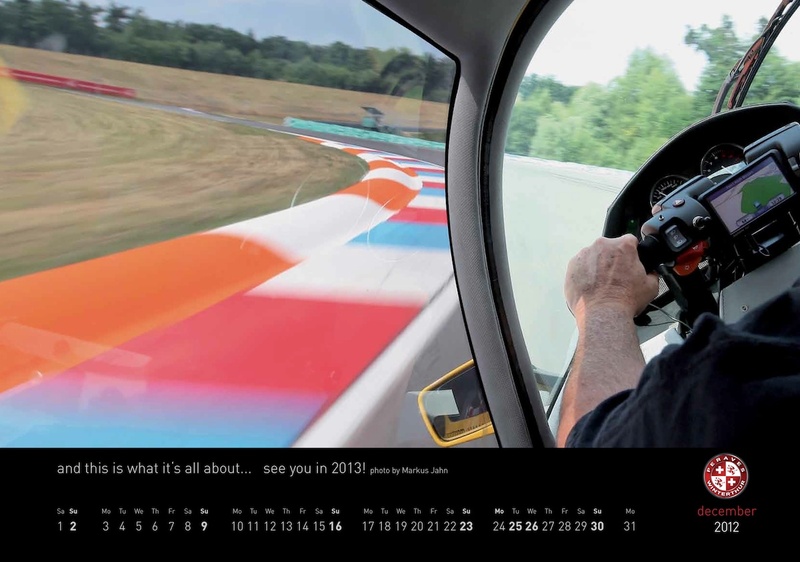 2012 MonoTracer of Switzerland Calendar – February – MTI-1200s on the Brno/CZ racetrack! March 2012 MonoTracer of Switzerland Calendar – DuPont Kevlar® monocoque production line in Medlanky/CZ. 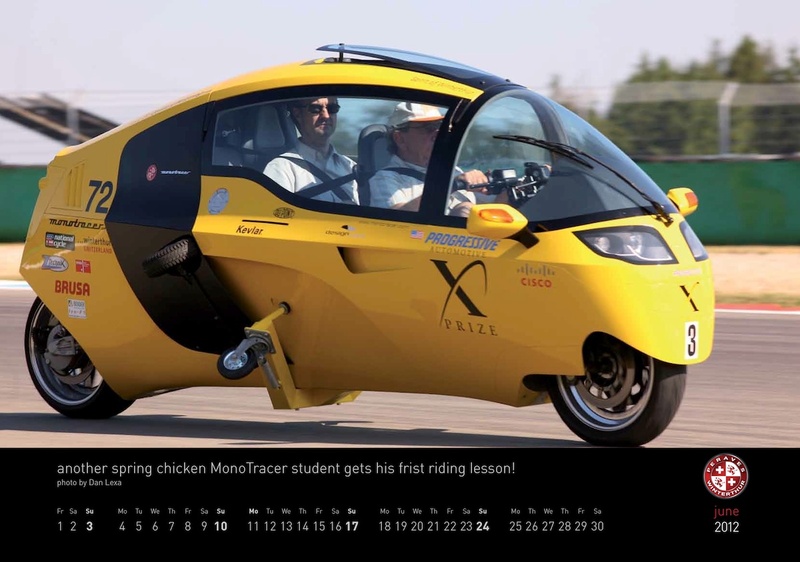 April 2012 MonoTracer of Switzerland Calendar – High tech mechanical and sleek aerodynamics! 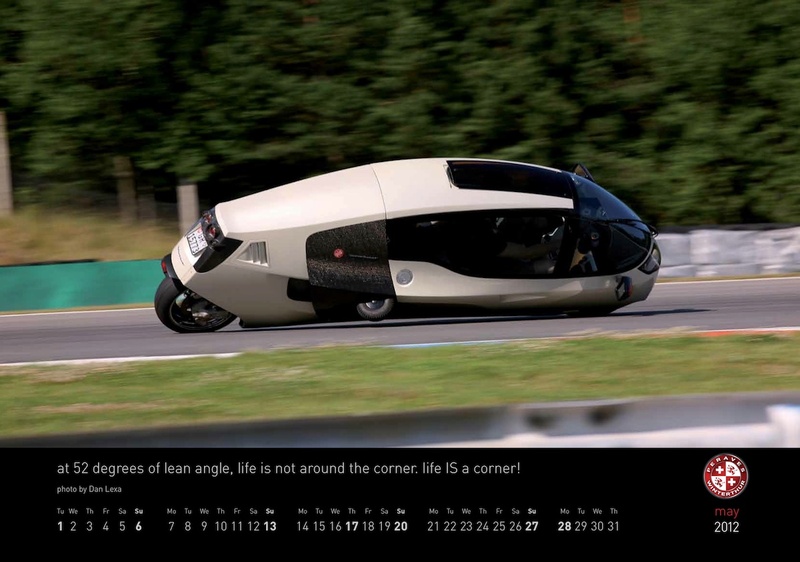 May 2012 MonoTracer of Switzerland Calendar – At 52 degrees of lean angle, life is not around the corner. Life is a corner! June 2012 MonoTracer of Switzerland Calendar – First piloting lesson in an all electric MonoTracer. 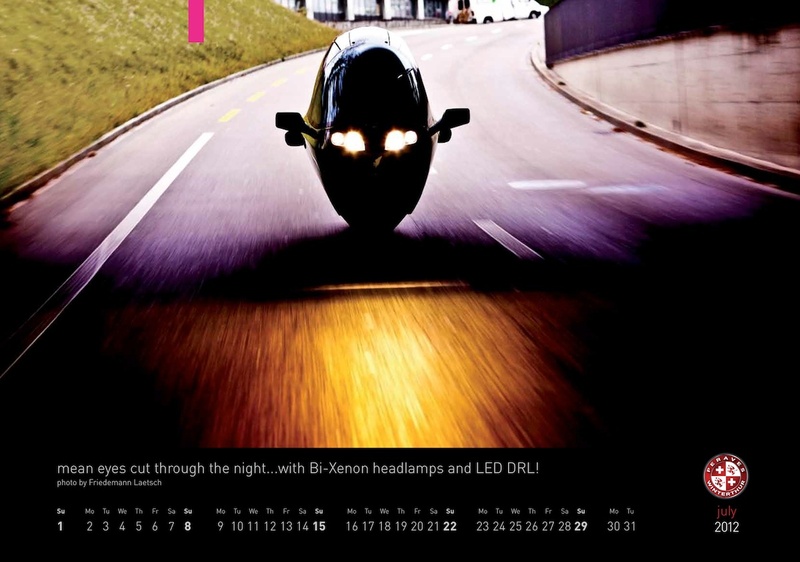 July 2012 MonoTracer of Switzerland Calendar – Mean eyes cut through the night…with Bi-Xenon headlights and LED Daytime Running Lights! August 2012 MonoTracer of Switzerland Calendar – Handcrafted to perfection with over 500 man-hours per machine! 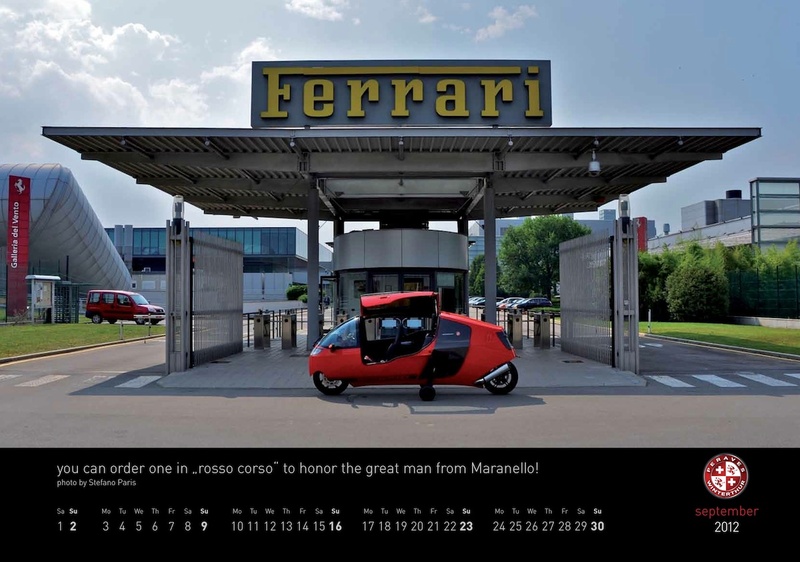 September 2012 MonoTracer of Switzerland Calendar – You can order one in “Ferrari rosso corsa” to honor the great man from Maranello! 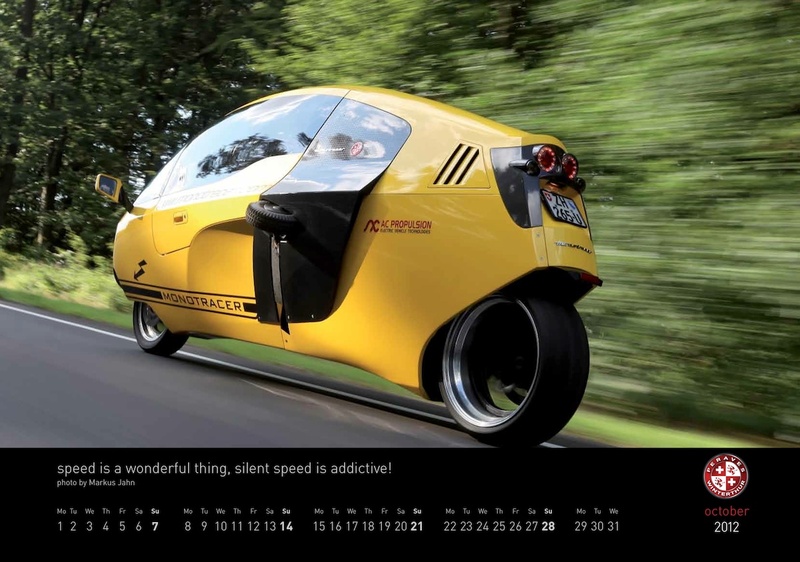 October 2012 MonoTracer of Switzerland Calendar – Speed is a wonderful thing, silent all electric speed is addictive! December 2012 MonoTracer of Switzerland Calendar – And this is what it’s all about… see you in 2013! 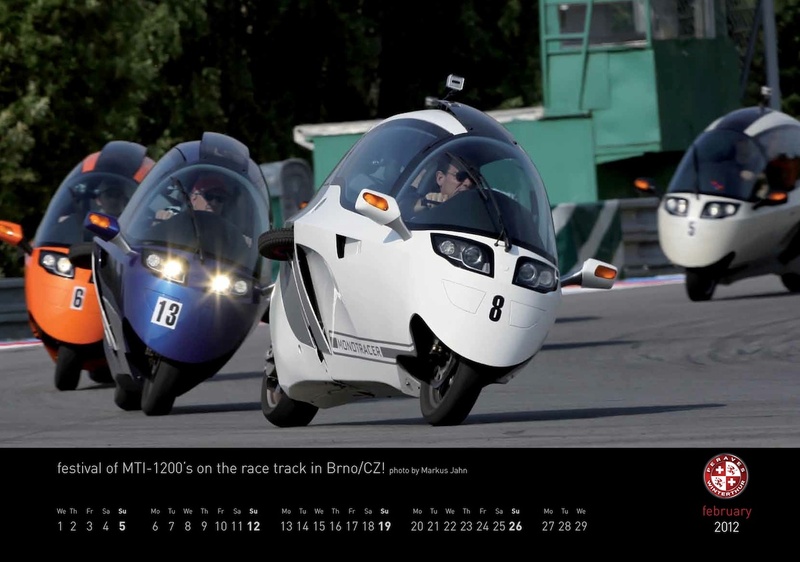 February 2012 MonoTracer of Switzerland Calendar – MTI-1200s on the Brno/CZ racetrack! 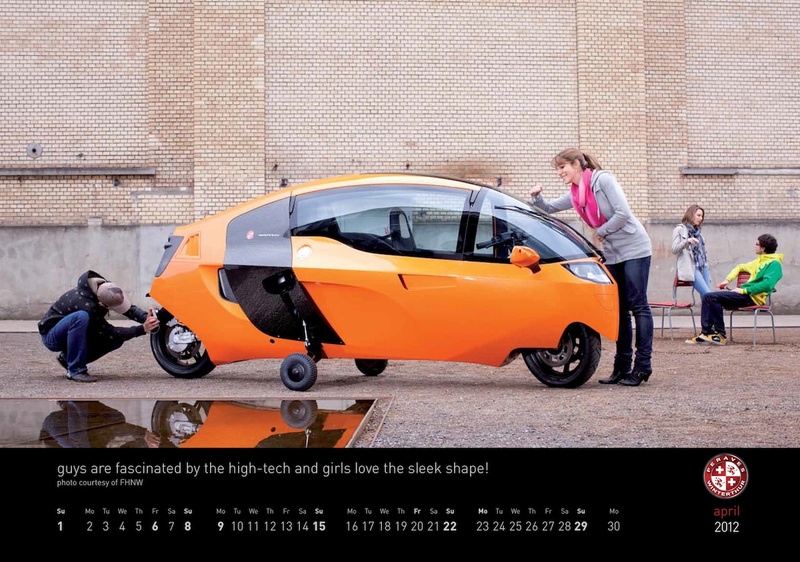 April 2012 MonoTracer of Switzerland Calendar – High tech mechanicals and sleek aerodynamics! This entry was posted in Peraves and tagged 2012 Bike Calendar, 2012 Calendar, 2012 MonoTracer Calendar, 2012 Motorcycle Calendar, Ferrari Rosso Corsa, fully enclosed high-performance motorcycles, Markus Jahn, MonoTracer of Switzerland. Bookmark the permalink.